From sinking a seed into the soil through to sitting down to enjoy a meal made with vegetables and fruits harvested right outside your back door, this gorgeous kitchen gardening book is filled with practical, useful information for both novices and seasoned gardeners alike. 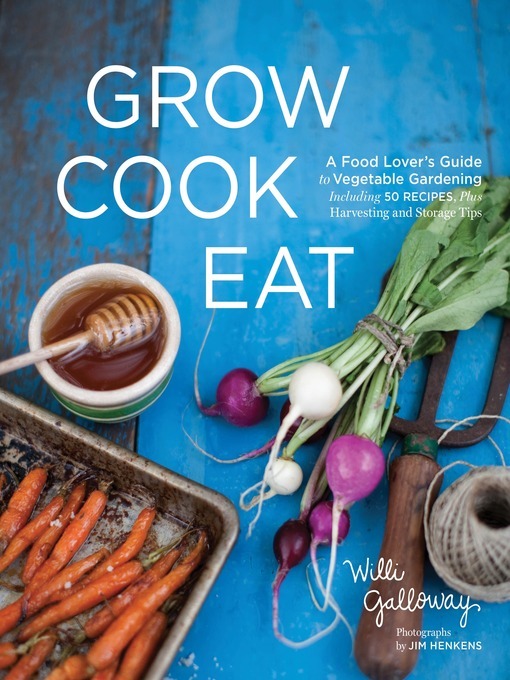 Grow Cook Eatwill inspire people who already buy fresh, seasonal, local, organic food to grow the food they love to eat. For those who already have experience getting their hands dirty in the garden, this handbook will help them refine their gardening skills and cultivate gourmet quality food. The book also fills in the blanks that exist between growing food in the garden and using it in the kitchen with guides to 50 of the best-loved, tastiest vegetables, herbs, and small fruits. The guides give readers easy-to-follow planting and growing information, specific instructions for harvesting all the edible parts of the plant, advice on storing food in a way that maximizes flavor, basic preparation techniques, and recipes. The recipes at the end of each guide help readers explore the foods they grow and demonstrate how to use unusual foods, like radish greens, garlic scapes, and green coriander seeds.